Riley Blake Designs "Small Dots" by Riley Blake Designs. 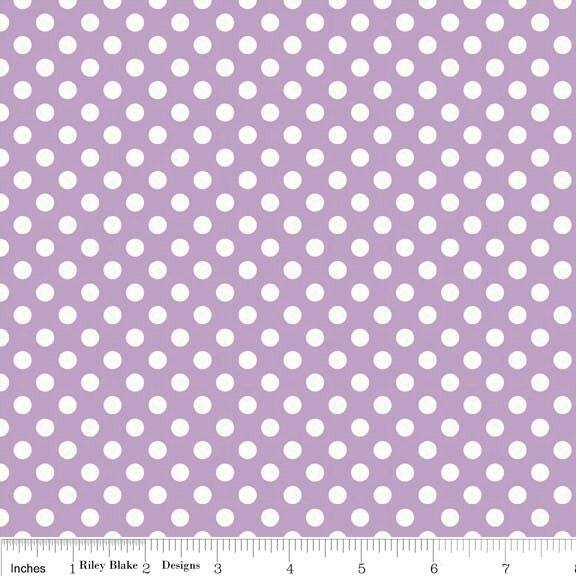 100% cotton, pattern C350-120 Lavender. Pattern measures 1/4" in diameter. All material I receive from this shop is great. Thanks!